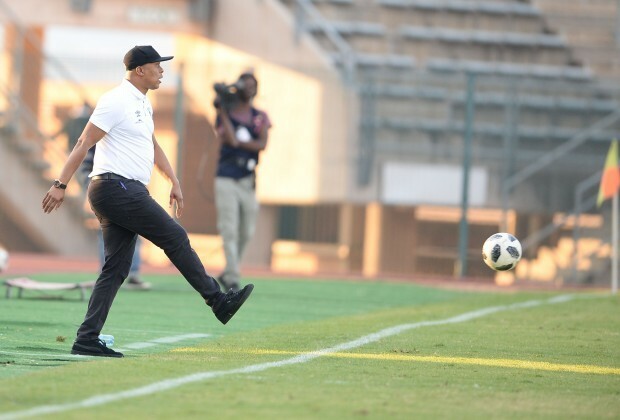 This past weekend, SportPesa together with ambassador Doctor Khumalo and other football dignitaries made a trip to Kenya to celebrate the company’s fifth year in existence. While the trip might have been a fruitful one, there was an unforeseen circumstance that took place in the midst of all the celebrations back home in South Africa. Khumalo’s former club, Kaizer Chiefs announced the premature retirement of 19-year-old Wiseman Meyiwa. “This is a young boy I watched growing up in the Kaizer Chiefs development and this is the last thing I ever expected. He was one of the boys with great potential, with a lot expected from him. Such a humble and respectful young boy with a great attitude. He was so dedicated to his game and he was someone I always thought was going to make us proud as a country one day. “He was already a junior international and that tells you a lot about his potential. When I heard about his situation, it really broke my heart and I’m still struggling to come to terms with it. This has never happened at Chiefs or anywhere else, as far as I can recall, and I just wish the boy and his family strength and knowledge that God hasn’t forsaken them. Sometimes we go through trials and tribulations in order to get to experience the love of God. 16V' went on to talk about the league and the fight not only at the top of the log standings but for the Top Eight position. To check out what Khumalo had to say, grab a copy of Soccer Laduma, issue 1109.